A forklift is a very versatile machine that can be used for various tasks and purposes within the workplace. Without forklifts, it would be nearly impossible to move certain loads and objects. While forks are the most obvious and popular attachment for forklifts, there are many more attachments and accessories available that may be better for specific jobs. Since 1996, Sam’s Mechanical Service LLC has been working with businesses to bring new and used forklifts to building contractors, distribution centers, recycling plants, shipping and delivery fleets, agricultural producers, retailers and much more. In this post, we will go over some of the most popular and useful attachments and accessories for your next forklift purchase or rental from Sam’s Mechanical Service LLC. What are Forklift Attachments & Accessories? Forklifts are so much more than a machine used for carrying pallets from one location to another. Attachments on your machine are not just for unique jobs and tasks, but can also be used to improve efficiency. When adding attachments or accessories, you’re not only optimizing the function of the machine, but also possibly decreasing fuel consumption, the time it takes to move a load, and man power. Whether you’re adding a sweeper to clean dirt, or a side shifter to move your forks left and right, there are various types of attachments that will help to get the job done. At Sam’s Mechanical Service LLC, we know how important it is to select the right attachment the first time around. We’ve listed the more popular ones here to assist in the choice process. As the name suggests, bale clamps are ideal for moving various types of baled products such as cotton, wool, hay, and more. In addition, if you’re moving a lot of boxes or machine parts, bale clamps can be the optimal solution for your needs. By engaging the load with two brackets, this type of clamp can easily lift, shift, and rotate products up to 360 degrees. If you need to dump and invert loads with your forklift, a rotator is a perfect attachment. A rotary device on the machine will allow for 360-degree rotation in both directions and are great in food processing and manufacturing. Many models also come with a side shift, or a lateral thrust. Does your forklift need a little more versatility or load-bearing power? 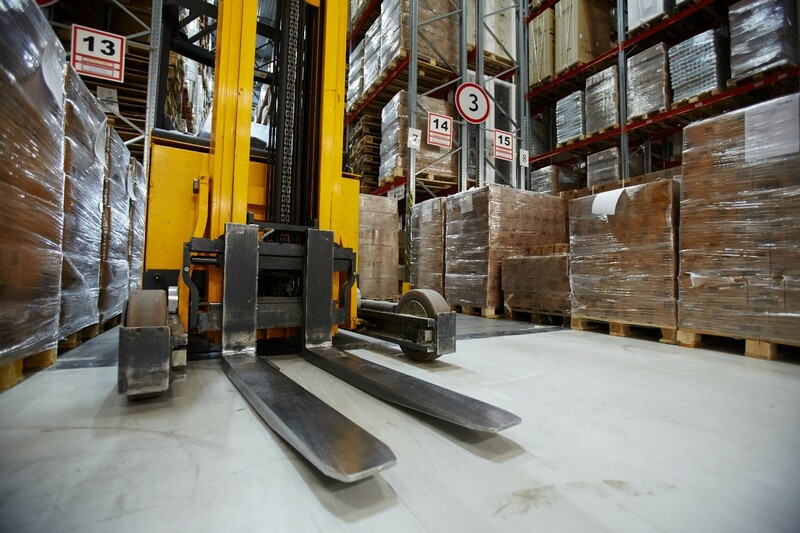 Getting a fork extension will help by allowing forklifts and operators to handle larger and more unique loads, while also lowering the risk of damaged goods. The extended lengths will also offer better stability, and better safety overall. Instead of purchasing an entire separate system for sweeping and cleaning, you can purchase an attachment for your forklift that does the job instead. By using two brushes and a vacuum fan, a sweeper attachment cleans up the dirt mechanically and is manually operated. The brushes rotate under the vehicle and help your facility stay safe and clean. When an object is rounded and can easily roll off of a pallet, your best solution is a roll or drum clamp. With two clamping arms that are adapted to the shape of the roll or drum, you can more easily transport these objects without risking damage to them. These clamps also are able to rotate and tilt to the front, while certain types can accommodate two rolls at once. Similar to roll clamps, flat surface clamps are able to safely lift and transport smooth-surface objects such as washers, dryers, ovens, televisions, or refrigerators. These objects typically are goods that don’t use pallets, so the flat/appliance clamps help decrease risk of damage. Appliance clamps are also typically available in a rigid or swinging versions and come with side shifts. If you have taller loads to transport and you’re moving the objects over an unstable terrain, one of the biggest concerns is keeping the goods on the forklift. Having a load stabilizer attached to the top of your forklift will not only help with safety, but it will also decrease transport time as it helps to stabilize the products. While carpets may look soft and easy to transport, anyone who has tried to move them knows that it’s typically the exact opposite. With tightly wound carpet rolls, using a carpet boom attachment (or pole) to transport the products is almost a must. The poles attach to the front of the forklift and make carrying these heavy and unwieldy objects a breeze. Where forklift attachments help to make jobs easier and more efficient, accessories can help to improve safety and comfort for the operators. Forklifts are powerful machines, and at Sam’s Mechanical Service LLC, we’re here to consult with you about any of your heavy equipment needs, such as these popular forklift accessories that will help to improve the quality of work in your business. It may be easy to forget, but there is always a person behind the operation of your forklift. Employees often spend hours or an entire day operating these machines, and it’s important to make sure that they’re comfortable. Adding adjustable seats and user comforts to forklifts will help your employees be more productive by reducing the risk of stress or injuries. This may seem obvious, but adding back-up alarms to forklifts is a great way to introduce more safety to the workplace. When the operator is backing up and may have limited visibility, it’s important that pedestrians are notified that these heavy machines may be backing up towards them. Safety lights come in many variations—rotating, flashing, or strobe—and are another way to assist operators in notifying pedestrians of the moving machine. If workers have sound-cancelling headphones on to protect their hearing in louder environments, safety lights can be an essential warning in preventing workplace accidents. Any time you install a new attachment to one (or all) of your forklifts, it’s important to remember that all operators must be trained how to use them properly and safely. Newer attachments may change the center of gravity and balance for the forklift, causing it to operate differently than what operators may be used to. Without proper training, accidents can occur and lead to tip-overs, falling loads, or crushing hazards. In addition, it’s always important to make sure the attachment is suitable for the truck you are fitting and also for the load you may be lifting. The professionals at Sam’s Mechanical Service LLC will happily help you pick out the proper attachments or accessories for your forklift. To make the process easier, we will even come to your location to help assess your operation and make recommendations on products that will best suit your needs. Contact us today to schedule a consultation and let us put our experience to work for you.